Find vacation serenity and relaxation in this spacious, beautifully constructed, air conditioned and updated, centrally located home on 1.59 acres in the private ''Lagoon Estates'' neighborhood. 4 roomy bedrooms that sleep 8-9 and 2.5 baths. Master bedroom with a king bed is on the 1st floor as well as a fully remodeled master bathroom with Jacuzzi tub and walk-in shower. The second floor has three large bedrooms (king, full, two twin beds) and a 2nd full bath with double vanity. The first floor living area is open concept with an airy Great Room with cathedral ceiling and skylights that flow into an open and spacious kitchen with a peninsula and full amenities. 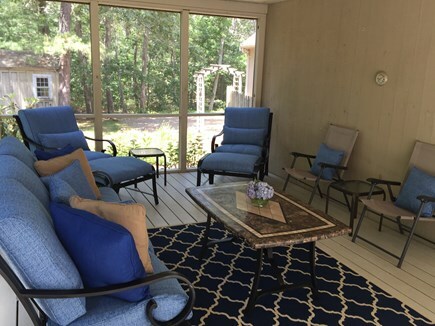 Sliding glass doors lead to a full sun deck plus a large screened porch, both with ample seating and direct access to the landscaped yard and natural tree line. 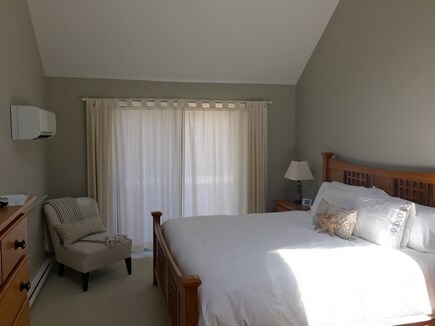 Walking distance to private Lagoon, with boat access, plus centrally located to Oak Bluffs, Vineyard Haven and Edgartown downtowns as well as beaches. Additional pricing info: Visitors Bring Own or Rent Linens; Cleaning $300; and Refundable Security Deposit $800, State and local taxes of 11.7% will apply. 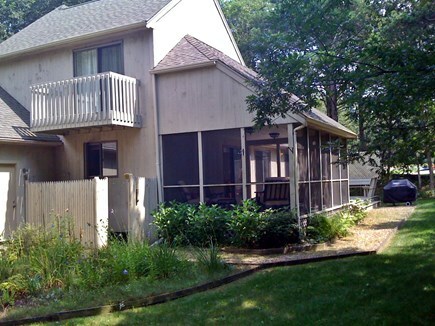 - I took some wonderful naps on the screened porch, which overlooks a woodsy area. It’s also a nice place to lounge or read on a rainy day. - Dealing with the homeowner Don was a breeze. We will rent again.